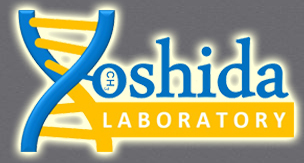 February 25th, 2019 Uncategorized Dr. Yoshida has awarded a Certificate of Excellence in Reviewing from Elsevier. January 21st, 2019 Uncategorized Our research paper about multicolor bioluminescence resonance energy transfer assay for quantification of global DNA methylation was published in Analytical and Bioanalytical Chemistry! November 20th, 2018 Uncategorized Our research paper about a direct detection of hemi-methylated DNA was published in Analytical Letters! September 6th, 2018 Uncategorized Our research paper about inhibitor screening assay for global DNA methylation in human cells was published in Analytical Letters! Copyright © Yoshida Lab. All Rights Reserved.